The United Kingdom has reached the agreed-upon date for Brexit with no plan for how to leave. The last few days have been nothing short of chaos. Following the UK MPs vote to briefly postpone Brexit, lawmakers failed to reach a consensus on eight different exit options on Wednesday, resulting in Prime Minister Theresa May putting her resignation on the table. In response to May’s March 20 request for an extension to June 30, 2019, the European Council endorsed postponement of the divorce until May 22. However, for this to become effective, UK MPs must first back up Theresa May´s Withdrawal Agreement Bill, rejected twice already in the House of Commons. If Parliament does not back the bill, the EU will accept a shorter delay, until April 12. The British Parliament continues to exclude the possibility of a no-deal Brexit, while at the same time continuing to fail in finding an adequate alternative. This became clear when the UK Parliament rejected eight different proposals to end this deadlock, including: an exit without agreement, a customs union, cancel the exit of the EU, or a second referendum. Despite high expectations, none obtained enough support. Theresa May’s announcement of her resignation on Wednesday may force a victory if her Withdrawal agreement, which will be submitted to vote for the third time today, is approved by Parliament. We will soon see if her bold overture will be enough. If, by some parliamentary miracle, the agreement is approved, then everything will be resolved. On May 22 the United Kingdom will leave the EU, Theresa May will set a timetable for her own departure, and the focus will change to the future relationship between both parties. During this two-year period of negotiation, we have seen so many possibilities put forth and get rejected that consequently, the uncertainty grew. At the twelfth hour we find ourselves still preparing for all Brexit scenarios, and considering the latest updates, a no-deal one. Scenario 3: Goods exported from the UK to OoExt in the EU27. Scenario 3: Crossing the UK. 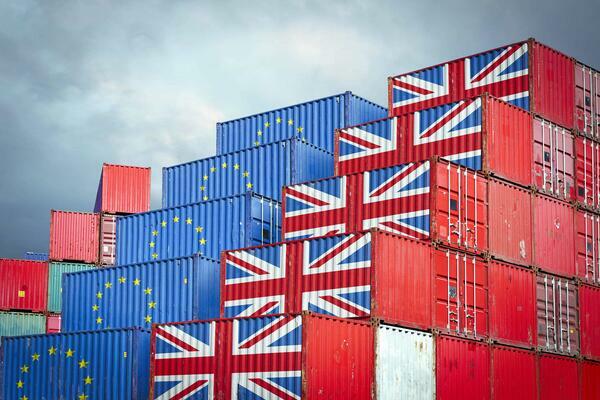 With several possible outcomes for Brexit, and with an increased risk of a no-deal scenario, C4T is ready to automate the movement of goods to the United Kingdom in one uninterrupted flow. In addition to pre-lodging declarations, C4T is equipped to use the HMRC’s recently introduced transitional simplified procedures to prevent congestion and long delays in clearing goods at the border, which allows businesses to defer submitting a full declaration and paying any duty. Call us today to get started. +32(0) 15 46 08 46. We’ll keep following the progress closely to keep you informed and inspired. Stay tuned!